No good repair of a tank type heater to stop leaks. If your Water Heater is leaking there is There is no substance to seal the tank, and no method that I would trust to seal that leak even for a temporary repair. In short, unless the leak is on the fittings external to the tank, you need a new tank. If you have a serious leak and it is wetting the rugs or walls, please see a few notes about mold conditions and some health warnings. Most heater tanks will last about 12 years if nothing is done to make them last longer. CALL ME FIRST OF COURSE, YOU CAN at: 386-738-9001 AND I WILL SHUT OFF THE WATER FOR YOU! OR TALK YOU THROUGH IT. carefully turn this round handle to the right do not tighten more that hand tight as these valves often break at the handle stem. If is a lever handle, like one of these, move the handle gently to which ever way it will move until it is at a right angle to the pipe. These valves are completely effective in stopping the water entering the tank. Sometimes this may not stop the water because round handle valves do not shut off completely and you must shut off the water to the house. 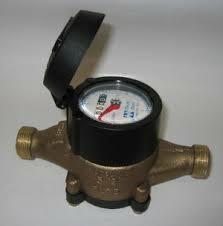 If you know where your water meter is. In the box, look to the STREET SIDE of the valve and often under the dirt, you will find a small meter valve that you may be able to use a large pair of pliers, but you may need a meter key to turn that small valve.